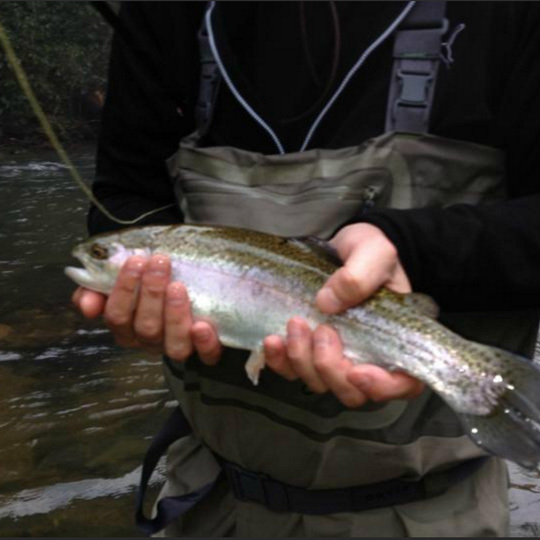 We offer the best catch and release fly fishing in North Georgia! 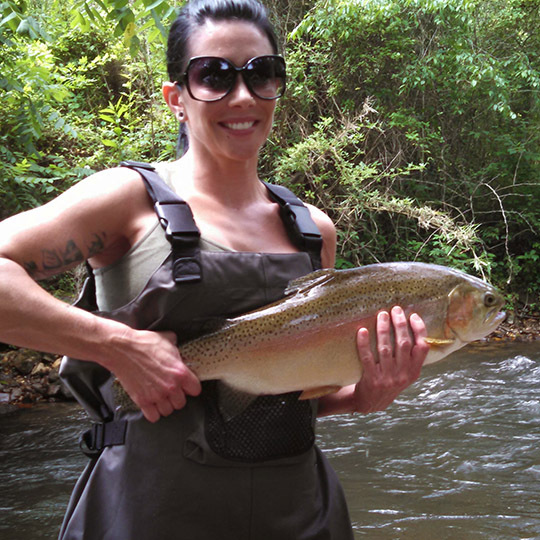 We have an amazing 7 1/2 miles of private water for your trophy trout fishing. 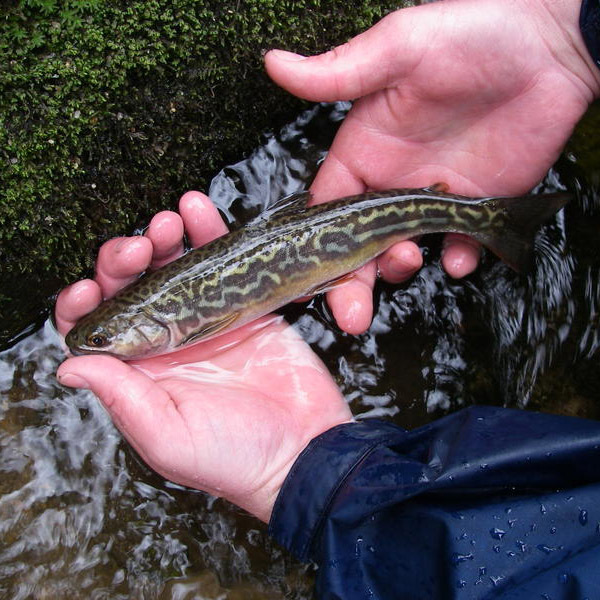 These big trout are catch and release only. 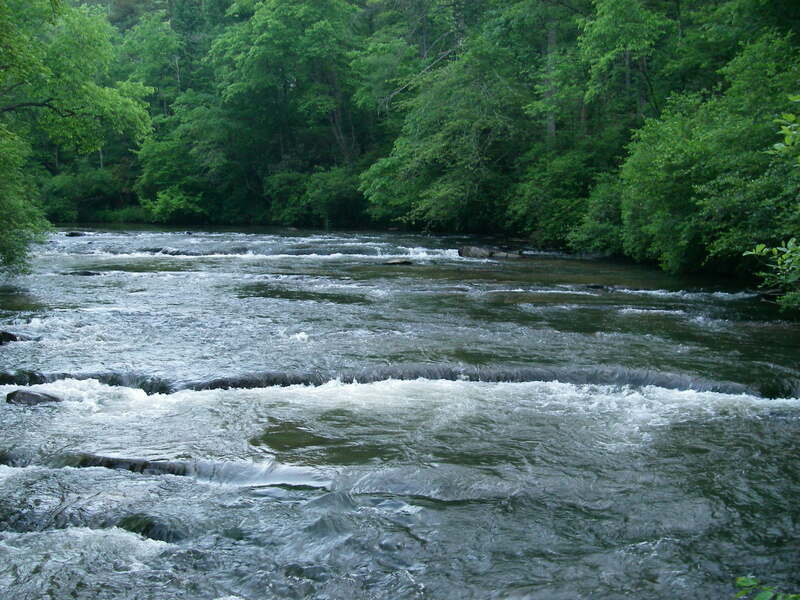 Our private waters include: Cartecay River, Chestatee River, Mountaintown Creek, Noontootla Creek, and Soque River. 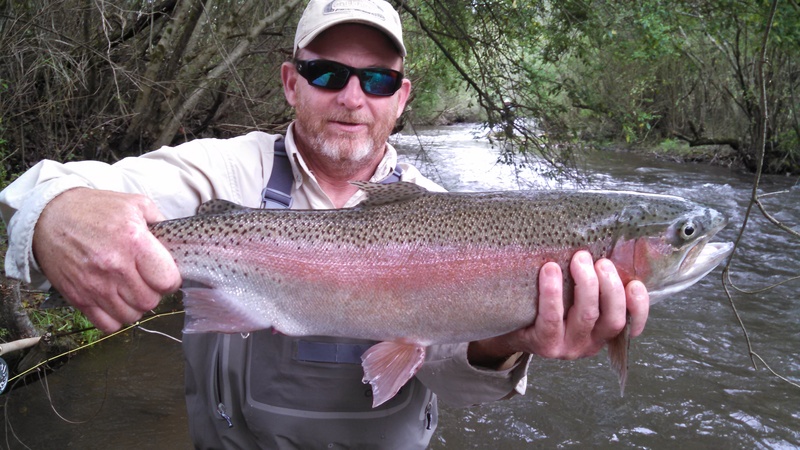 Our waters are teeming with big rainbows and browns...just waiting to make your reel scream! 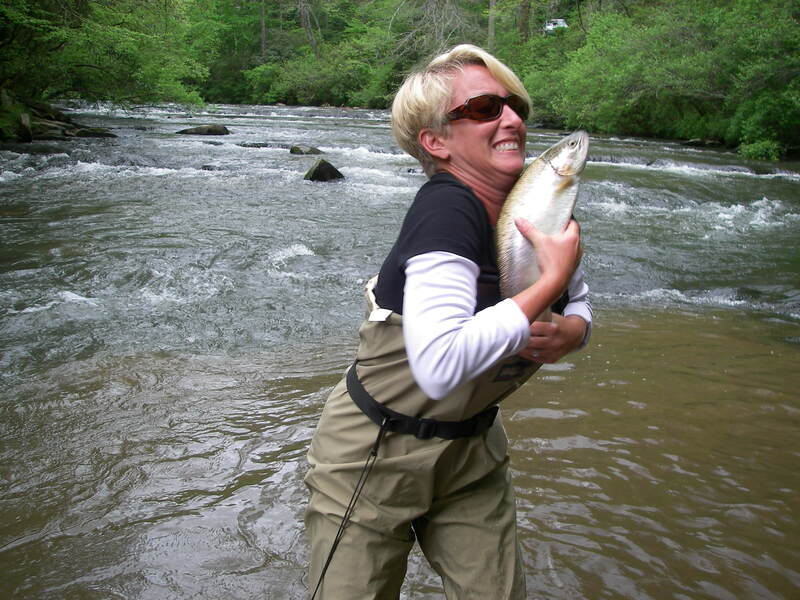 * We highly recommend an angler to guide ratio of 2 to 1 or less on our private water trips! Beginner's Special: This is an ideal package for people that have never fly fished and want to learn. Many couples loves this trip and it’s a great casting tune-up if you’ve not been on the water in a while! 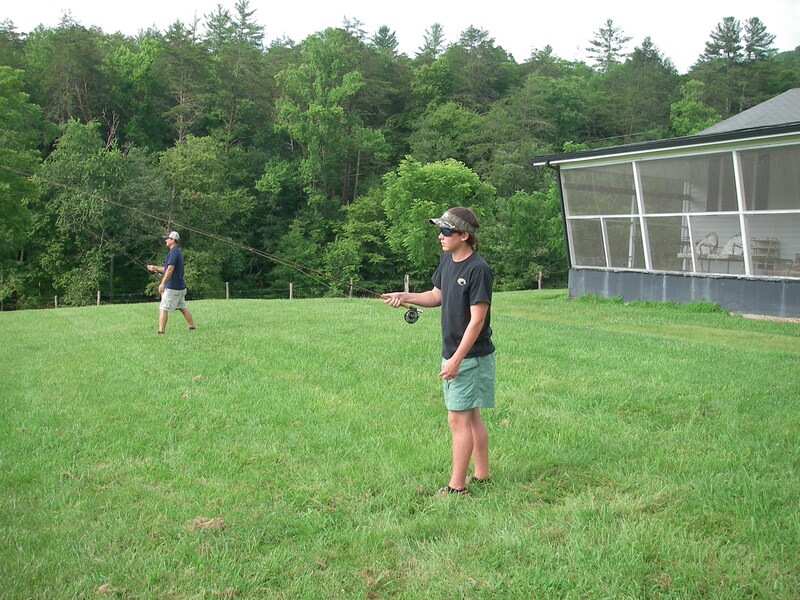 Our instructors make learning to fly fish fun and easy. 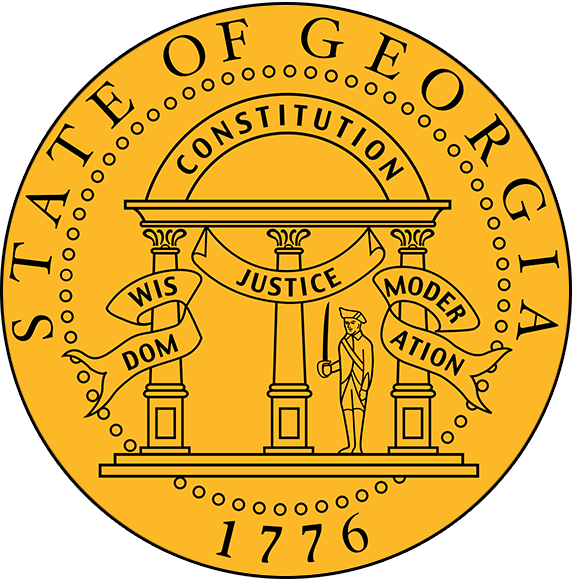 We provide everything except a fishing license with trout. 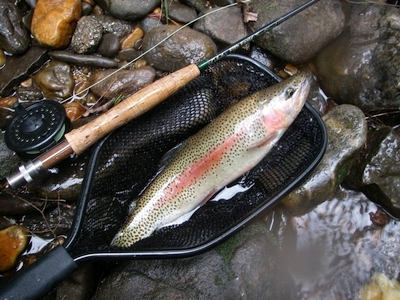 We teach the basics for equipment needed, casting lessons, and rod and fish handling techniques. Then we hit the water to spend time fishing one of our famed private trophy waters. The cost is $300 for two anglers. 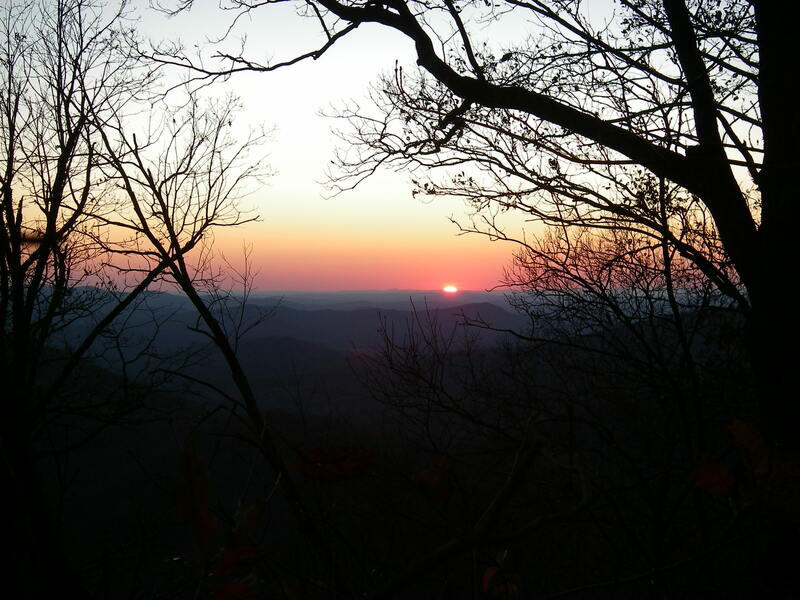 Lodging: Two of our private water properties have lodging that can sleep up to 8 people. 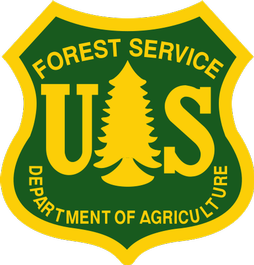 See Information 2 for hotel or cabin rentals. Lunch: A hearty deli-style lunch is included on all full day trips. 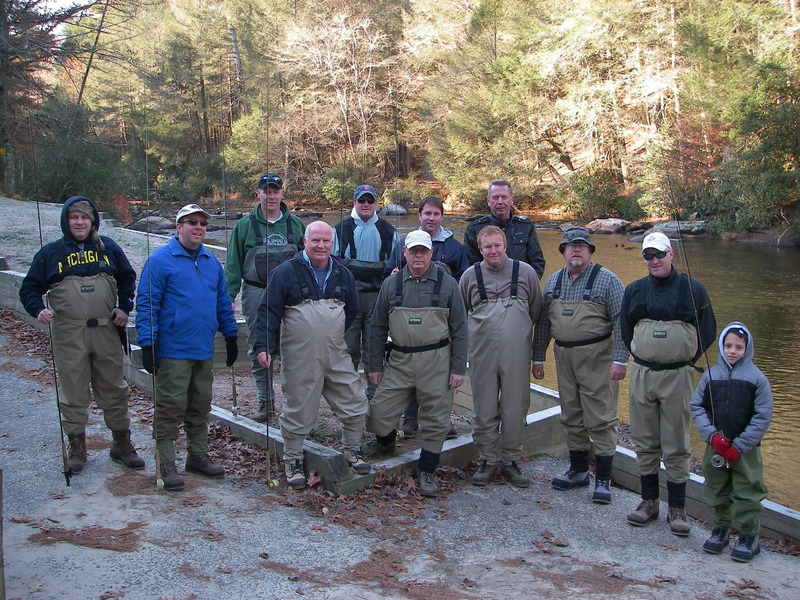 Corporate or large groups: We can accommodate up to 18 anglers at one time. Lunches can be catered with BBQ and all the fixings. Just call to see if we can arrange an exciting adventure for you! Payments: Cash, corporate check, all major credit cards and PayPal. 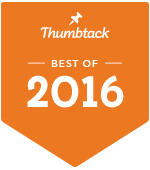 **Gratuities are not included in our prices, but are greatly appreciated by our guides! 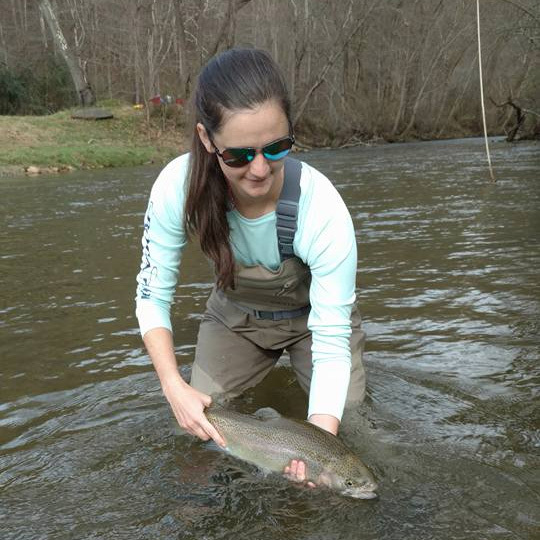 Your fly fishing trip belongs to you. You decide how your day is to be spent. 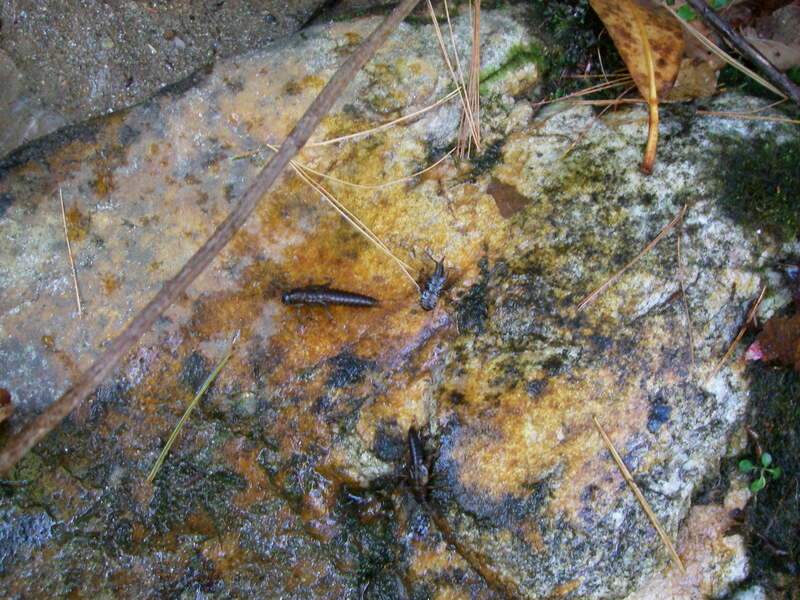 We will gladly help you with your casting, teach stream reading, and/or entomology (study of insects = fish food). Just let us know what you want and we'll do our best to make it happen! Rod use, leaders, tippets, pictures, and flies you use or lose are supplied at "no additional charge". Our waders are lightweight and breathable. We use comfortable boots that have felt soles to provide better traction while in the stream. We also offer these at “no additional charge”. Trips include transportation from a designated meeting location to the stream and return to the starting point at the end of day. There are times when it is necessary for two vehicles to be used for float trips and certain wade trips. 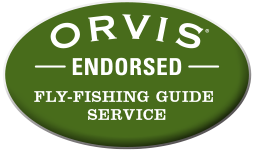 "My husband and our two teenage daughters booked a fly fishing trip with Reel’em In guide service™ during our summer vacation. We met the guides, James and Carter, who were just amazing. They demonstrated patience, expertise, and professionalism. I would definitely recommend booking a trip with them. 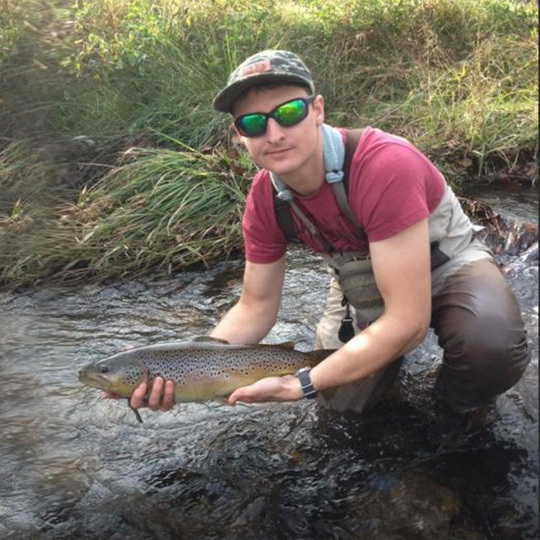 We’re looking forward to doing this again with James an Carter as our guides."